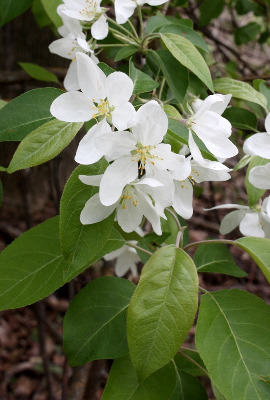 Another Asian crabapple, cultivated and occasionally escaped to open forests and fencerows. First collected by R. W. Smith in Lenawee Co. in 2009. An older collection from Midland Co. is not mapped as it is somewhat uncertain both in identification and status as an escape. Rather similar in appearance to the apple and perhaps overlooked. MICHIGAN FLORA ONLINE. A. A. Reznicek, E. G. Voss, & B. S. Walters. February 2011. University of Michigan. Web. 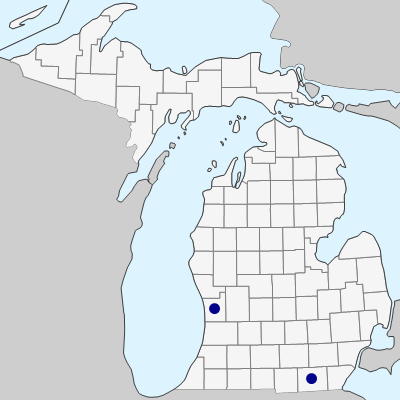 April 19, 2019. https://michiganflora.net/species.aspx?id=2828.